Hi peeps, after a few fashion and beauty post last few days is time for some yummy post! Today post will be about food! Korean cuisine is always my favorite. 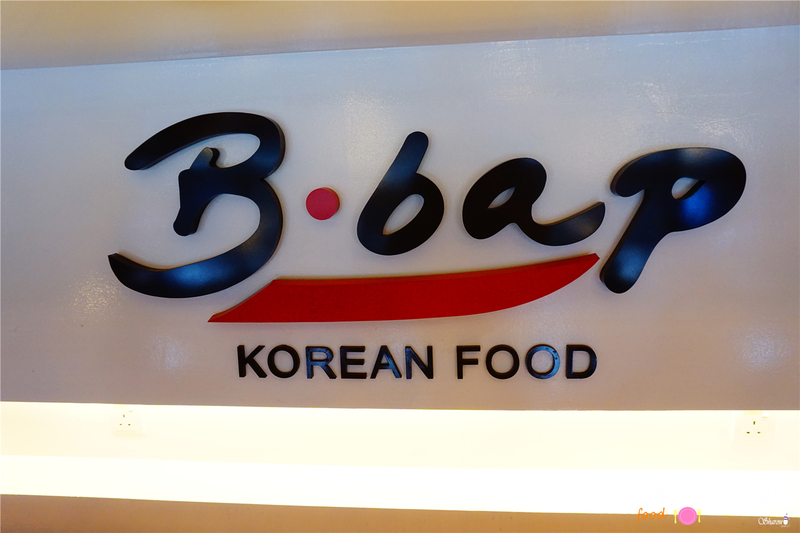 Every time we go out either I will choose Korean or Japanese Cuisine. I just don't know why because I am not a fan of western food especially if you go cafe for dining they will either provides only dessert or spaghetti. 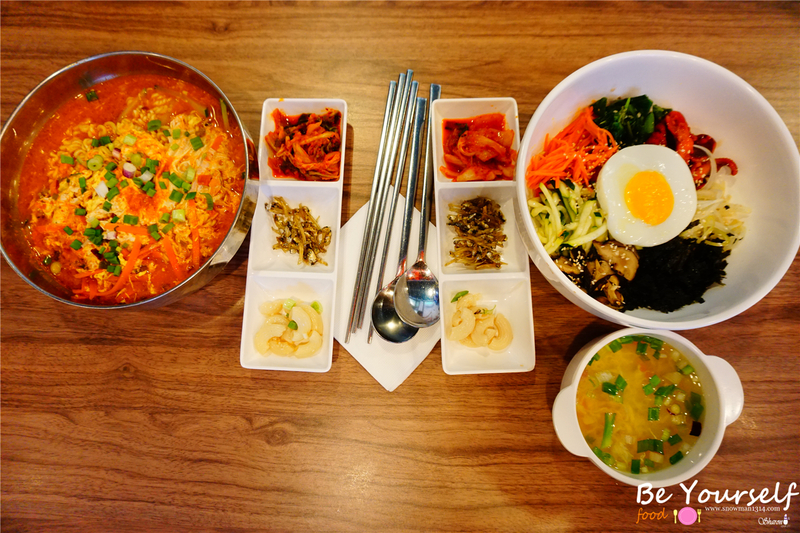 I always love spicy food choices will be Thai food or Korea Food. As for Japanese I would love to have Salmon or Ramen. But if the food varieties have a lot of choices is not wrong to try also. 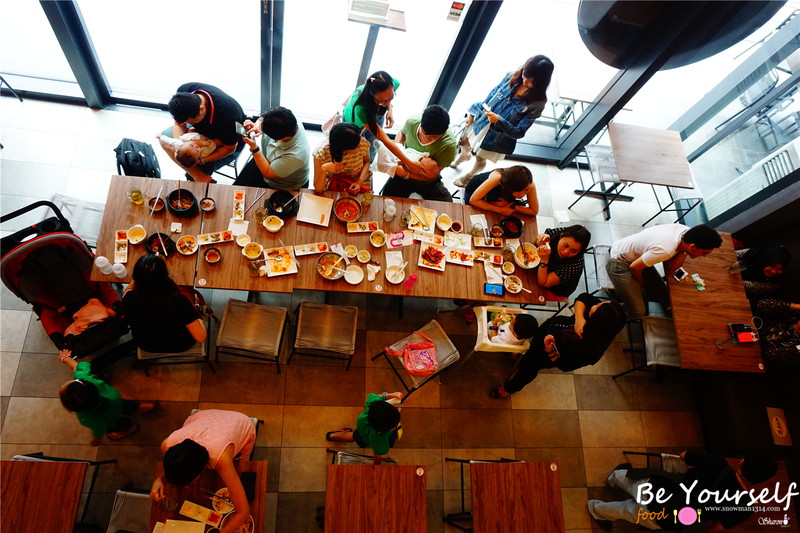 I started to miss cafe hopping too. Any Good and Nice cafe recommends around KL area? Its been quite some time since I visit PJ area too. Should arrange 1 weekend and visit PJ area for shopping and do some cafe hopping. Today we are here. At Nu Sentral for Guardian Makeover 2015. I been here for second time and I am here this kind is because I miss their ramyeon. 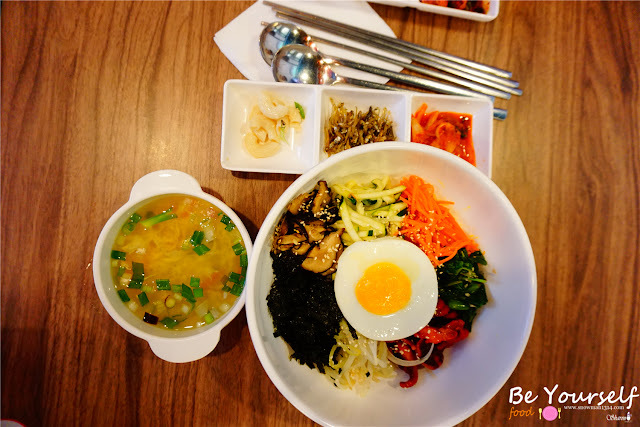 I don't know what you guys think but for me I have the best ramyeon at B.bap Korean Food. 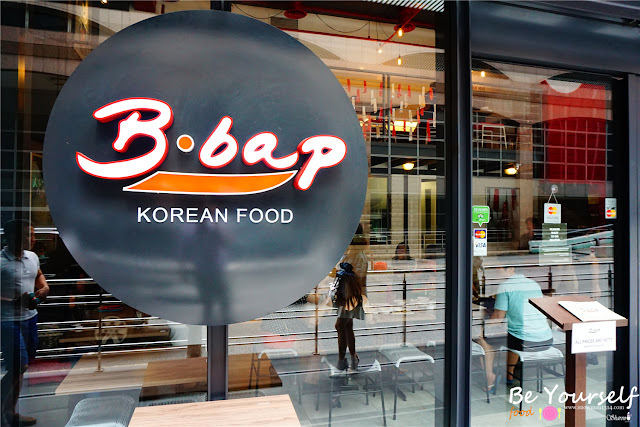 Since their name with the B.bap meaning they have the best taste for bibimbap too! Mixed vegetables and rice with meat or seafood, egg and choice of spicy chili sauce or sesame soy sauce. 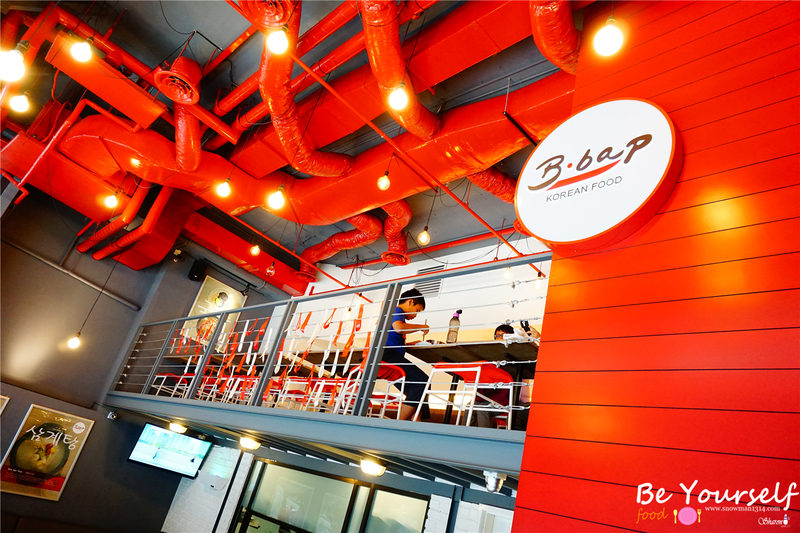 In B.bap Korean Food they have total 5 choices of Bi Bim Bap you can enjoy. 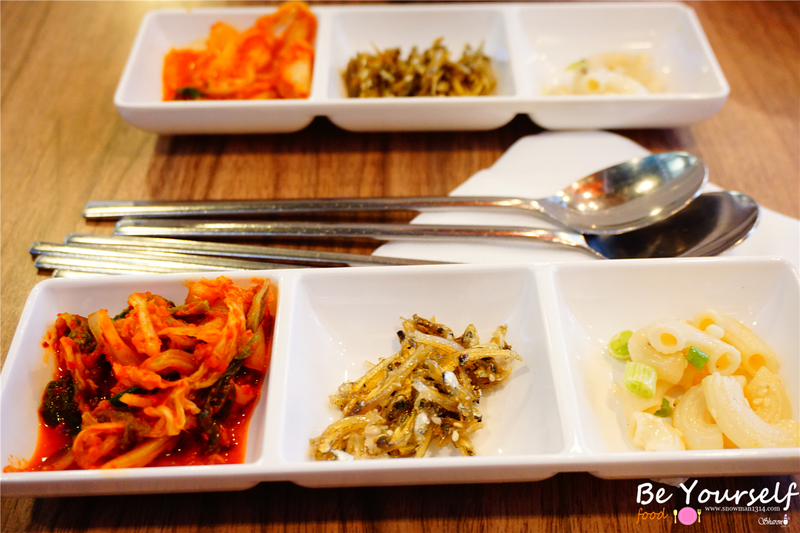 Bulgogi Chicken, Bulgogi Beef, Squid, Octopus and Vegetables and Tofu. 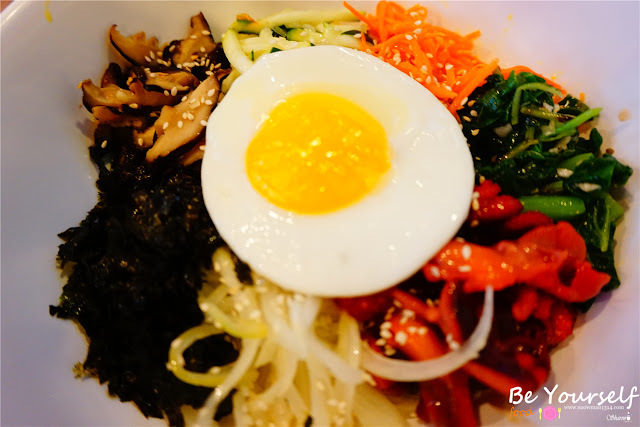 I love their Bi Bim Bap real much. 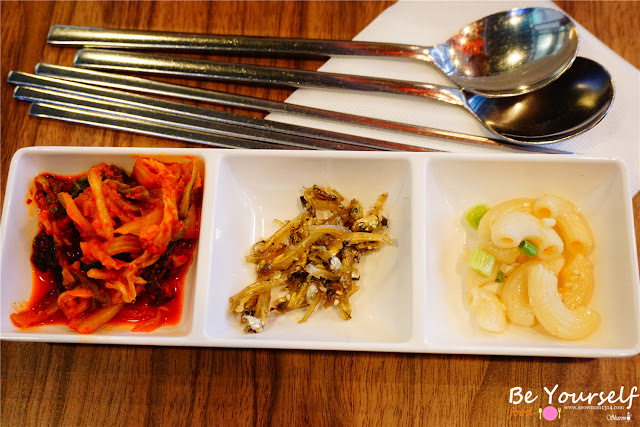 As they served many mushroom, vegetables and the sesame sauce was really appetizing. Not forget the octopus they serve is quite lot and fresh too! But as you seen from the picture, the rice portion is not that much too. The dish is apparently more than the rice. 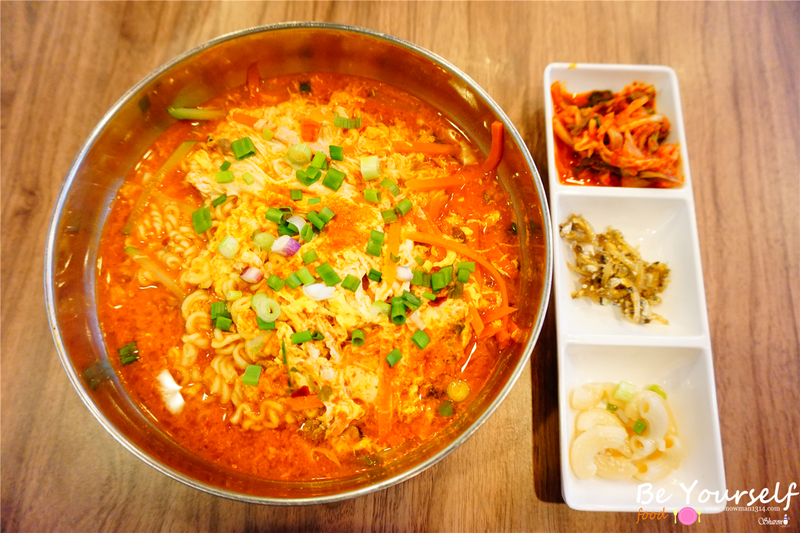 Spicy Korean Ramyeon with Beef RM18. They have 3 choices of the meat or seafood that you want. Chicken, Beef and Seafood. Their seafood serving is a lot too if you are a seafood lover, you can order too. 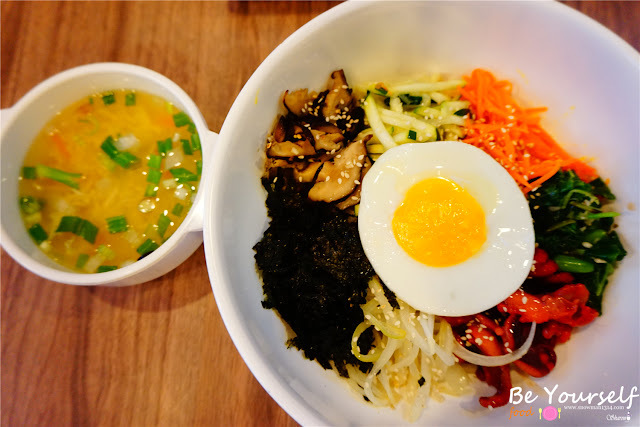 Please don't be deceive by the look but the ramyeon they serve actually comes with many vege and the beef is really chewy too. What I love is they really cook until very tasteful with the ramyeon spicy soup and the dish they put in the soup is really very full filling! 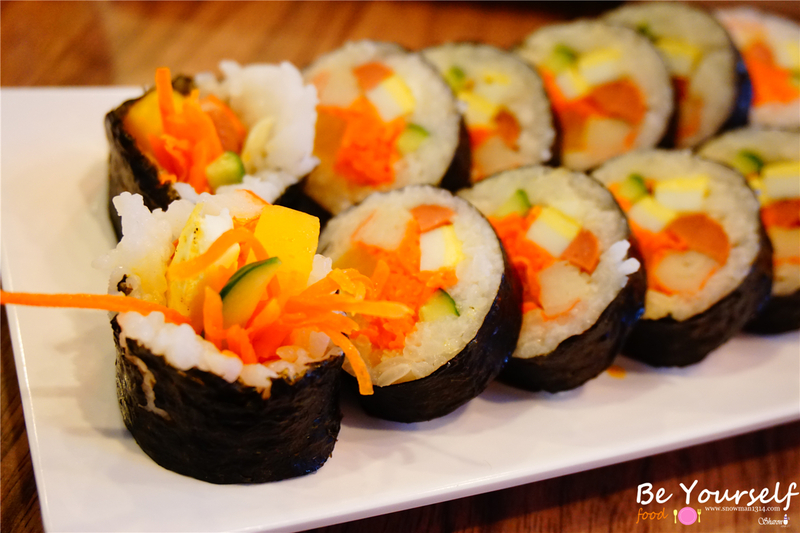 Korean rice ball filled with vegetables, seafood or meat. Comes in 5 different fillings too, Traditional Kimbap, Beef, Kimchi, Tuna and Chicken. 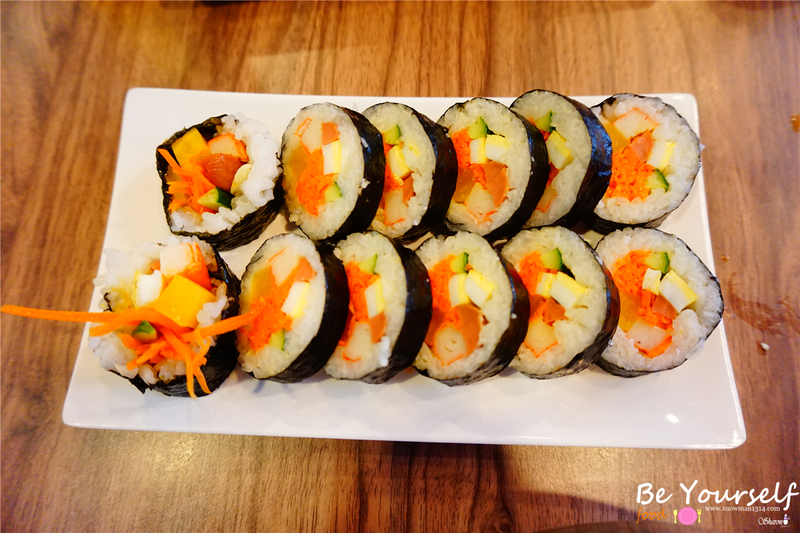 Comes with cucumber, carrot, egg, sausage and rice ball. The taste is not as I expected as I saw other blog review mention that this would be quite nice. But for me it taste quite tasteless for me maybe it is cold. The filling inside taste really didn't stand out that much too. They even have a second floor too! The space inside was quite limited as they have small space here. You can imagine if they are big crowds here it will be quite pack and noisy. 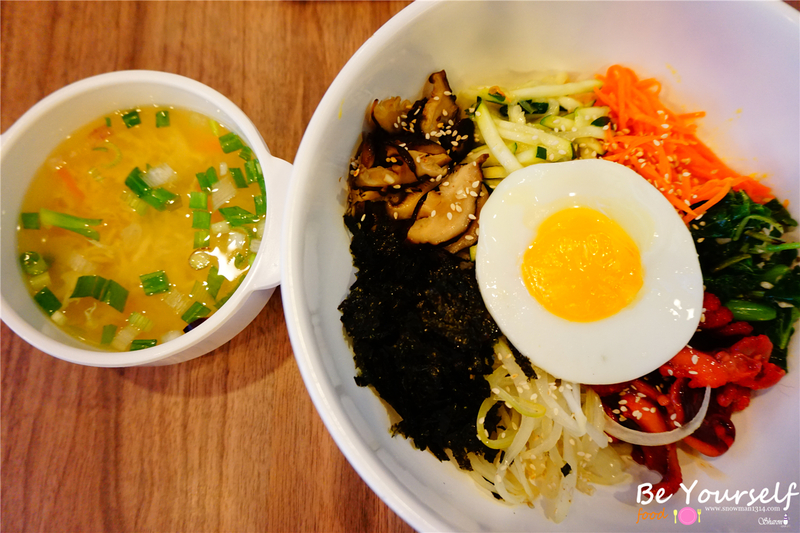 But I really recommend their Ramyeon and Bi Bim Bap! It was the best I eat for now, hope to have more Korean Cuisine for me because I just doesn't get bored of eating Korean cuisine. I love korean food and this place is a must visit! 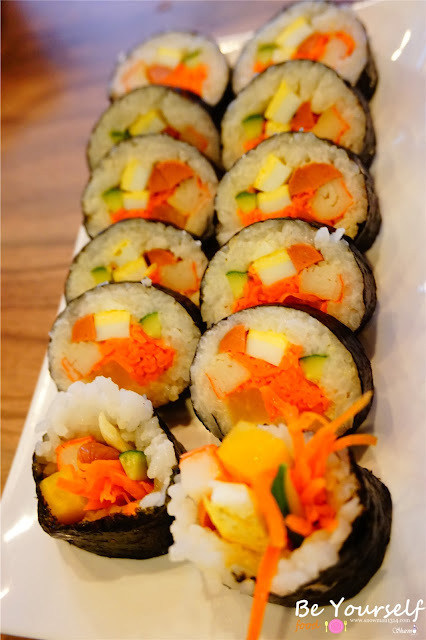 Waaah it made me hungry reading your post.